BUY NOW and SAVE $150! 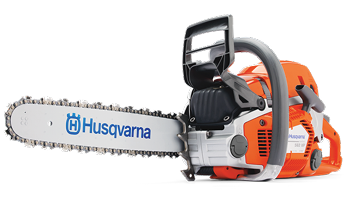 Husqvarna 562 XP is developed for professional loggers and skilled landowners. The saw has a ground breaking design and is loaded with innovative solutions for efficient, convenient operation with large air filter and bar options up to 24". Featuring a 59.8cc engine, 3/8" chain and comes with a 20" bar. Our unique X-Torq engine technology provide more power where you need it, up to 20% less fuel consumption and 60% less exhaust emission. RevBoost provides instant high chain speed for extra efficient de-limbing. Freight cost is $40* for metro areas Australia Wide, price may differ to rural and remote areas. Free Store Pickup also available! Recommended Bar Length: 15" - 28"